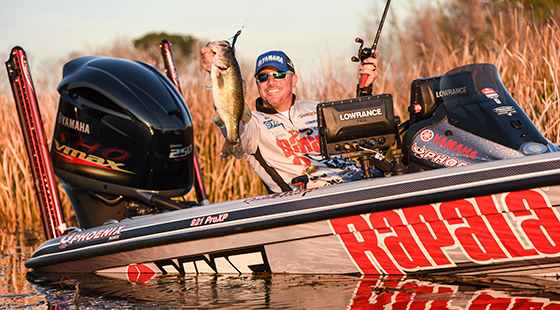 Bass pro Randall Tharp now relies on Rapala® Respected brands hook, line and sinker. The champion angler, already a pro-staffer for Rapala lures and VMC® hooks and tackle, now represents Sufix fishing line as well. While most recreational anglers are quick to supplement the classic baits in their arsenals with game-changing new Rapala lures like the Shad Rap, Rip Stop and BX Brat, Tharp has noticed they are often slower to adopt innovations in fishing line. And many anglers continue to use only one kind of line in all situations. But a “one-size-fits all” attitude toward line will result in fewer fish coming in the boat, Tharp says. Working together is something Rapala brands Promotions Manager Dan Quinn and Tharp have enjoyed the last few years on the Rapala and VMC pro-staffs. 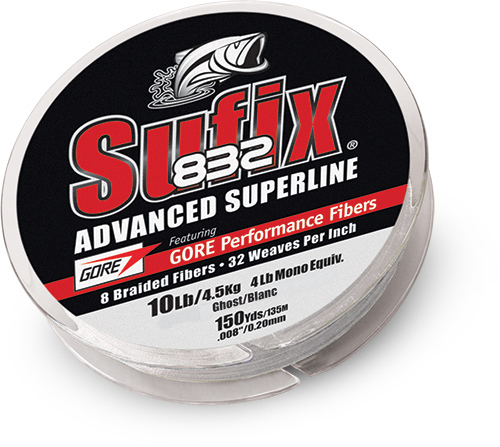 Having made a name for himself cashing checks in tournaments on grass-rich lakes like Alabama’s Guntersville and Florida’s Okeechobee, Tharp has for years relied on Sufix 832 Advanced Superline braid for pitchin’ and flippin’. When fishing deep-running DT® series Rapala crankbaits and Shad Rap®s, Tharp will tie to 10-pound-test Sufix Castable Invisiline™ 100% Fluorocarbon. When he’s cranking a square-bill bait like Rapala’s new BX Brat, he will most often tie to 10- or 12-pound test Sufix fluoro. He will sometimes upgrade to 14-pound-test, “depending on the type of cover I’m fishing it around,” he says. When he’s fishing vibrating jigs, he will tie to 17- to 20-pound-test Sufix flouro. When fishing finesse baits this season, Tharp will tip an 8- or 10-pound-test 832 Advanced main line in the Ghost color with a long leader of 6- to 10-pound-test Sufix fluoro. Another key motivator for Tharp joining the Sufix team is the line manufacturer’s vision for the future – he’s seen some of what’s on the drawing board. This entry was posted in Pro Staff, Rapala, Sufix. Bookmark the permalink.